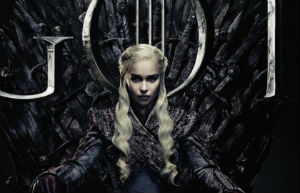 " Fast & Furious™ "
With hundreds of thousands of people flocking to torrent and streaming sites, the premiere of Game of Thrones' final season has once again ignited a piracy feast. This morning over 120,000 BitTorrent users are actively sharing copies of the episode, and that's just the tip of the iceberg. Yesterday the eighth and final season of Game of Thrones premiered, generating a massive demand on both legal and less-authorized channels. The first episode came out a few hours early for some people on DirectTV Now, adding to the long history of Game of Thrones leaks. Not much later, the season premiere was also widely available on various pirate sites. The first pirate releases were not sourced from the leak, however. They came from Amazon and were put online just minutes the show officially became available online. Traditionally, Game of Thrones has been the most pirated TV-show in history, and it soon became apparent that this may also be the case with the final season. At the time of writing, more than 120,000 people are actively sharing one of the three most-popular torrents. And at The Pirate Bay, the five most popular releases are all Game of Thrones episodes. The most-shared torrent at the moment, with tens of thousands of peers, is a 3.34 GB rip from the group MEMENTO. Like every year, the total number of downloads is eventually expected to run to several million per episode. Part of this unofficial audience prefers piracy over a paid subscription. However, the fact that pirate copies are available before the official release in many countries doesn’t help either. TorrentFreak spoke to the operator of one of the most popular torrent sites, who prefers not to be named. However, he informed us that the Game of Thrones premiere resulted in a 20% boost in visitors this morning. This uptick is similar to what he’s seen with Game of Thrones episodes in the past. On average, the peak goes down a bit throughout the season. Then, for the season finale, there’s a similar increase again. In absolute numbers, there are fewer people sharing the episodes via BitTorrent than a few years ago. The absolute record dates back to 2015, when over a quarter million people were simultaneously sharing a single file. This is in part because the piracy ecosystem has evolved. Torrent sites used to be the main distribution platforms for pirated TV shows, but unauthorized streaming sites are much more popular today. These sites don’t make any viewing numbers public, but they should be good for millions of ‘pirate’ views as well. HBO and other related rightsholders are already working hard to take fresh links offline, or at least remove them from search engines, but history has shown that putting a serious dent in Game of Thrones piracy isn’t easy. More like Game of ThroneZZZzzzzzzzzzzzz. I have never watched a single episode and am continually mystified at how many folks go gaga over this. Members are reminded that links to illegal content are not permitted. need to watch. it magic, it's called red wedding. the extreme violence not the story.